Brightly colored plastic dough/clay cutters includes 8 shapes: circle, triangle, square, rectangle, parallelogram, heart, apple and snowman. Square measures 2" x 2". Circle measures 2.25" diameter. Cutters range in size from approximately 1.75" to 2.25". Each set includes 8 pieces. Sold as 6 sets for a total of 48 pieces. 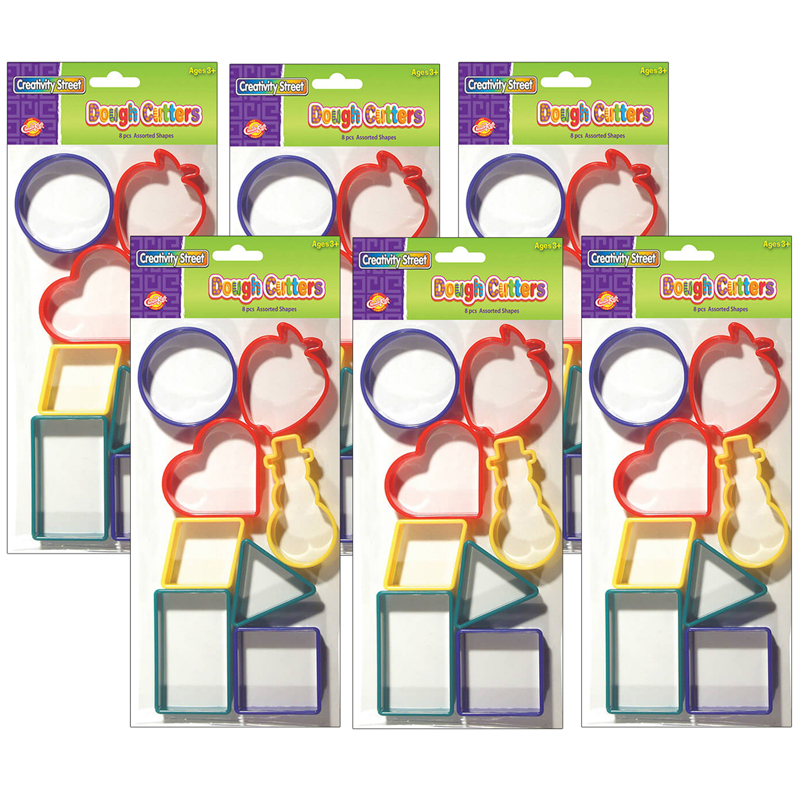 The (6 St) Dough Cutters - 8 Shapes Perpk can be found in our Dough & Dough Tools product category within the Arts & Crafts. 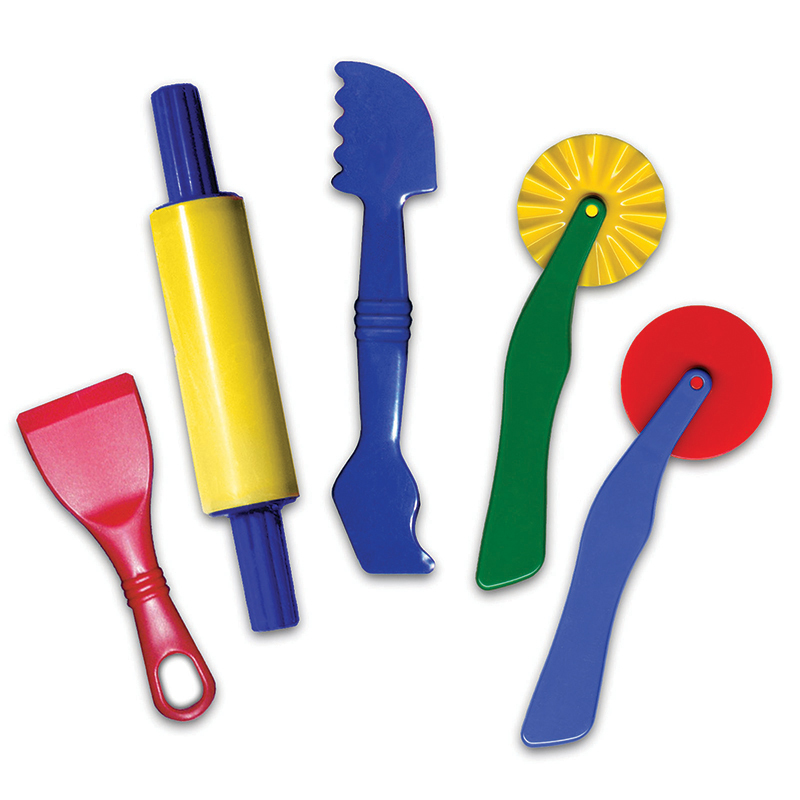 These brightly colored, durable plastic tools are easy to use and clean. 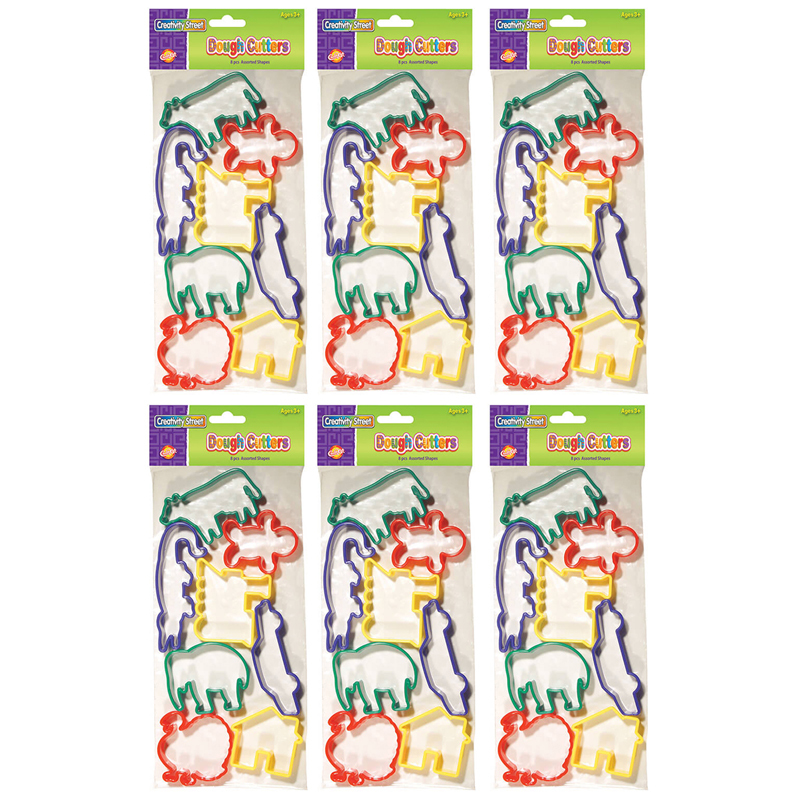 The five piece set offers a versatile and creative assortment. Each individual set contains 5 pieces. Sold as 6 sets for a total of 30 dough tools.